The “bike lane” on the Pont due Normandie. 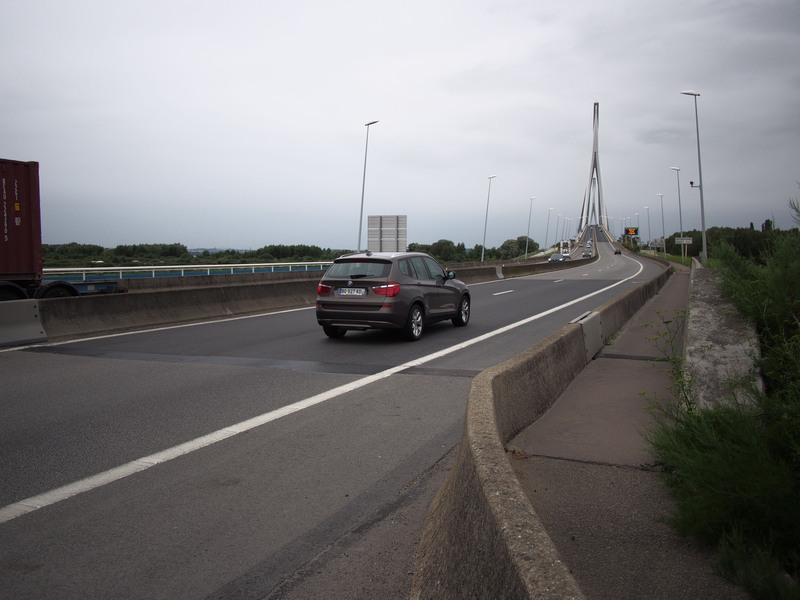 The “bike lane” on the Pont due Normandie, which is between the BMW and the wall. The pedestrian walkway, which I rode on out of fear for my life, is on the right side of the wall.